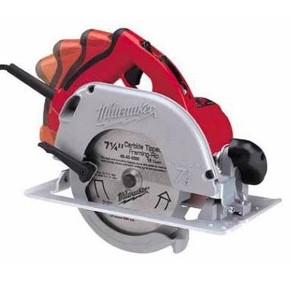 The TILT-LO handle on Milwaukee's 6390-20 is the most revolutionary concept for circular saws in years. 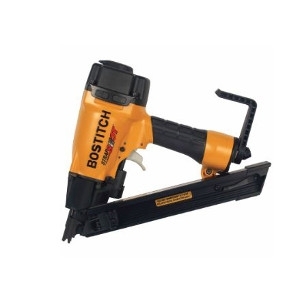 The eight position cushioned top handle adjusts to any cutting application maximizing comfort and control. The 11 Amp 4-1/2" Small Angle Grinder (Paddle, Lock-On) delivers up to 3X more durability and up to 50% more power than the competition. The Milwaukee 5" Random Orbit Sander features variable speeds of 7,000-12,000 OPM, so you can match the speed to the application. Its 3 amp permanent magnet motor produces constant speed and power. 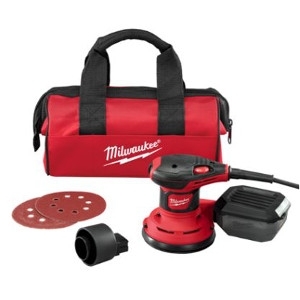 Use this sander to achieve a fine, swirl-free finish on anything on which you're working. 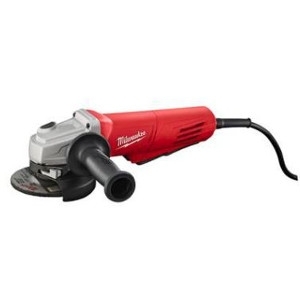 The Milwaukee 6033-21 ¼-Sheet Palm Sander produces a fine, swirl-free finish. The 3.0 amp permanent magnet motor with 14,000 OPM produces constant speed and power. Delivers up to 2X more runtime, 20% more power and 2X more recharges than standard lithium-ion batteries. 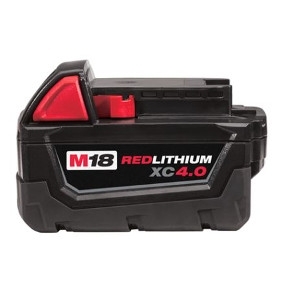 The M18™ REDLITHIUM XC 4.0 Extended Capacity Battery Pack features superior pack construction, electronics and performance to deliver more work per charge and more work over pack life than any battery on the market. Delivers up to 2X more runtime, 20% more power and 2X more recharges than standard lithium-ion batteries. 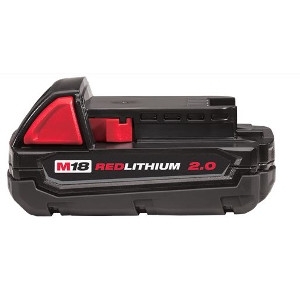 The M18™ REDLITHIUM 2.0 Compact Battery Pack features superior pack construction, electronics and performance to deliver more work per charge and more work over pack life than any battery on the market. 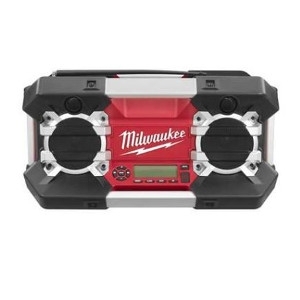 Powered by all Milwaukee 12V-28V batteries including M series, V series, and NiCad; the Jobsite Radio delivers the highest reception accuracy and signals clarity in its class with an exclusive AM/FM tuner and digital processor. 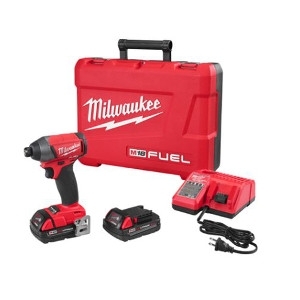 The M18 FUEL ¼” Hex Impact Driver is the Most Powerful Tool in its Class. 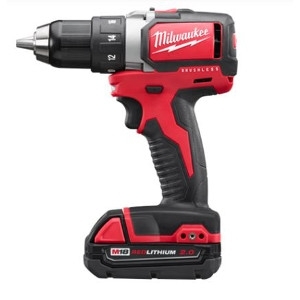 At 1800 in-lbs of fastening torque, this tool drives screws faster but also provides greater control over power and speed thanks to its proprietary 4-mode DRIVE CONTROL. 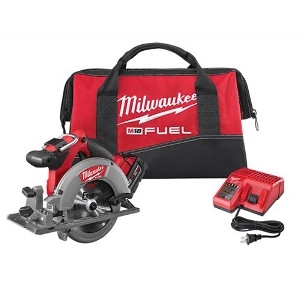 The M18 FUEL 6-1/2” Circular Saw Kit features the fastest saw in its class, offering up to 30% faster cutting, 2X more runtime and 3X longer tool life than competitive saws. 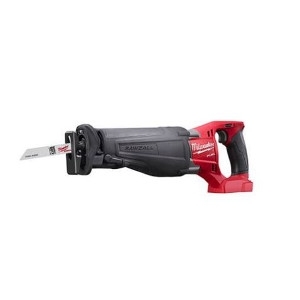 The POWERSTATE Brushless Motor outpowers all other 18-Volt cordless circular saws and allows you to perform jobs that previously required a corded tool. The M18 FUEL SAWZALL Reciprocating Saw cuts faster than its corded counterparts and offers up to 2X more runtime and 5X longer tool life than competitive saws. 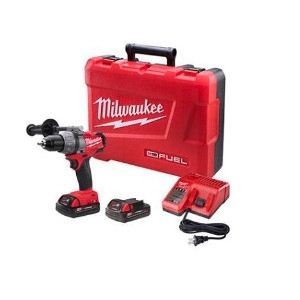 The M18 FUEL HammerDrill is the Most Powerful 18-volt cordless drill on the market. 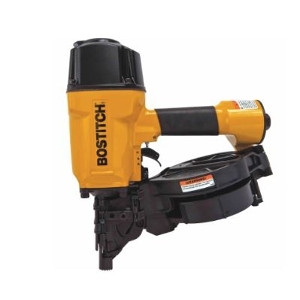 The POWERSTATE Brushless Motor delivers up to 1,200 in-lbs of torque and up to 2,000 RPM, providing faster drilling speed under heavy load to increase productivity. The M18 ½” Compact Brushless Drill/Driver is the Most Compact 18v drill on the market and delivers Over 50% More Run-Time than drills with brushed motors. 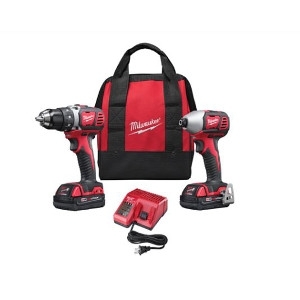 The M18 Cordless 2-Tool Combo Kit includes the M18 Compact Driver and the M18 1/4" Hex Impact Driver. 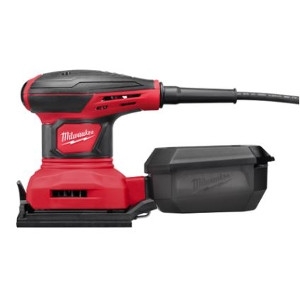 The M18 Cordless LITHIUM-ION System's patented technologies and electronics, innovative motor design, and superior ergonomics provide the most efficient blend of power, weight, and performance in the industry. 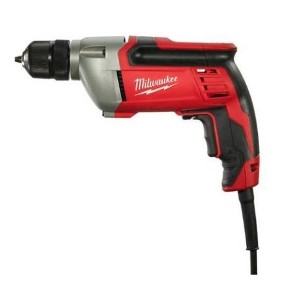 The M18 Hammer Drill/Driver is the most powerful 18-volt cordless hammer drill/driver in its class. 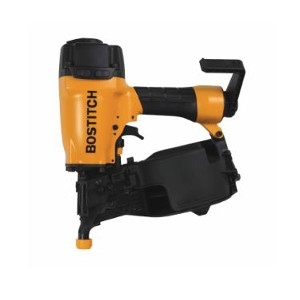 This lightweight, versatile hammer drill/driver offers up to 10X longer motor life, 2X more runtime and 25% more power for maximum performance on the job site. 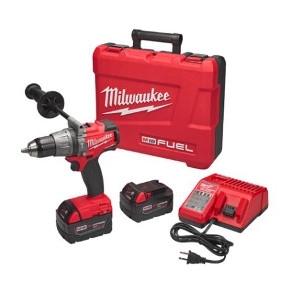 The M18 Drill/Driver is the most powerful 18-volt cordless drill/driver in its class. 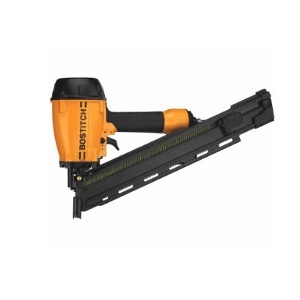 This lightweight, versatile drill/driver offers up to 10X longer motor life, 2X more runtime and 25% more power for maximum performance on the job site. 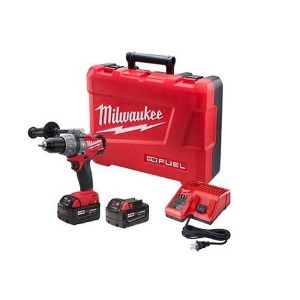 The 1/2” Magnum Drill has the raw power of a Milwaukee-built motor to perform in forward and reverse on wood, metal, plastics and composites. 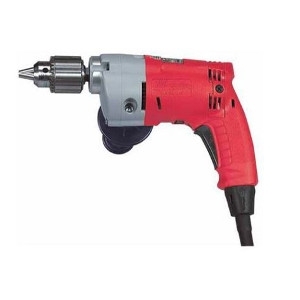 The power and durability of the 3/8” Drill make it the perfect tool for metal drilling, wood drilling, and fastening applications. Rubber grip designed to insulate and reduce vibration. Weighs only 1 lb. and 360 ° swivel air fitting for maximum accessibility. 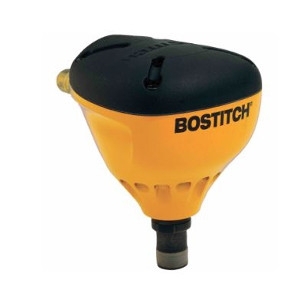 Ideal for driving common bulk nails in confined areas and for nailing of metal connectors and joist hangars. 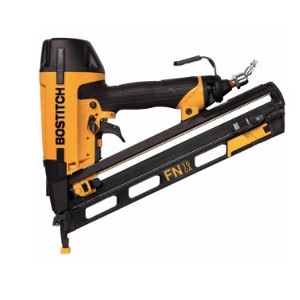 Magnetic nose with recessed nail slot holds nails stable for accurate fastener placement. Low profile design with enhanced ergonomics and balance for comfort and control. Powerful enough to drive into engineered lumber. Durable aluminum housing. Heavy-duty, quick-open canister designed to survive falls. Aggressive toe-nailing teeth grip lumber for slip-free nailing. World’s First 15ga tool with ultra-quiet rear exhaust to direct air away from the user. Integrated air blower allows the user to clear away debris from work surface (patent-pending). Drives wire weld and plastic inserted coil nails. 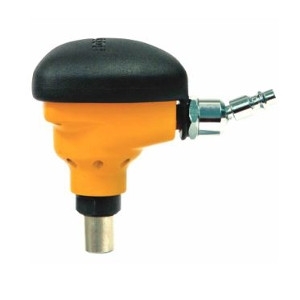 Adjustable depth guide sets nails to desired depths quickly and conveniently. Lightweight aluminum design for durability. Compact design fits between 12" O.C. joists. Low nail lockout prevents dry fires. Exclusive safety system prevents misfires. Exposed nail tip design fires in the hole for fast precise nailing.